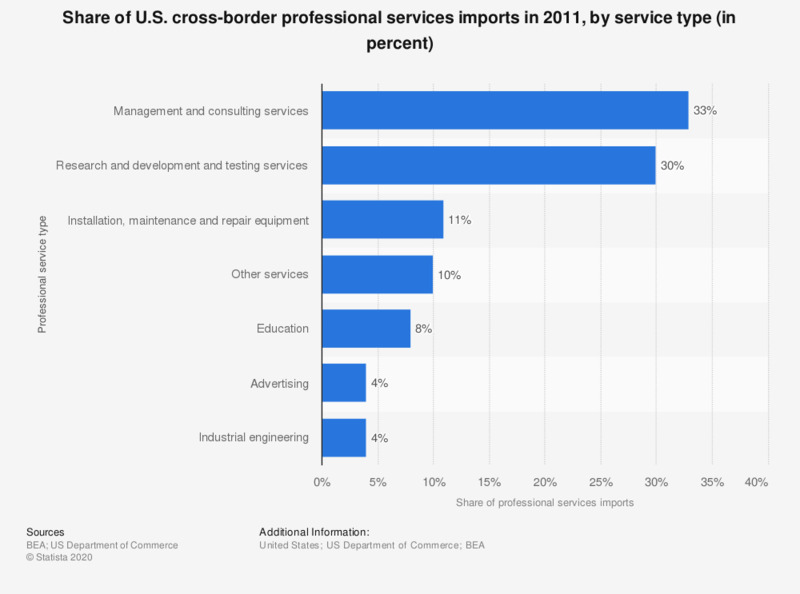 The statistic shows the share of U.S. cross-border professional services imports in 2011, by service type. U.S. cross-border imports of management and consulting services amounted to 33 percent of total U.S. cross-border professional services imports in 2011 and led U.S. cross-border imports of professional services in that year. The total value of U.S. cross-border professional services imports came to 75 billion U.S. dollars in 2011.